Do anda think there should be a Luigi's Mansion game where Luigi teams up with Mario to save Toad? do anda think there should be a luigi's mansion 2? What do anda like most about Luigi? 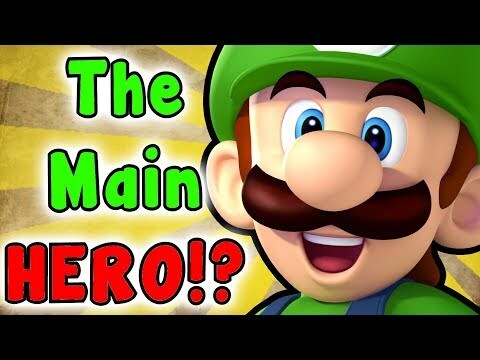 Who'd do a club for New Super Luigi U? What is yoshi in luigi? Luigi and Friends, the Pac 501st, Ghostbusters hawai'i Division, Comic jem Hawai'i, and one furry help promote a fundraiser for Prevent Child Abuse Hawai'i held at Nocturna Lounge on a local tv station, KHON2, Honolulu, HI. a comment was made to the poll: Is Yoshi cool? a photo telah ditambah: Mama Mia! Itsa Boo-ette! a comment was made to the photo: "Dear TJ, from Ghostbuster Luigi... "
Do anda cosplay as LUIGI? If so... WHY? INTRO! ALOHA! Eh, itsa me... LUIGI!